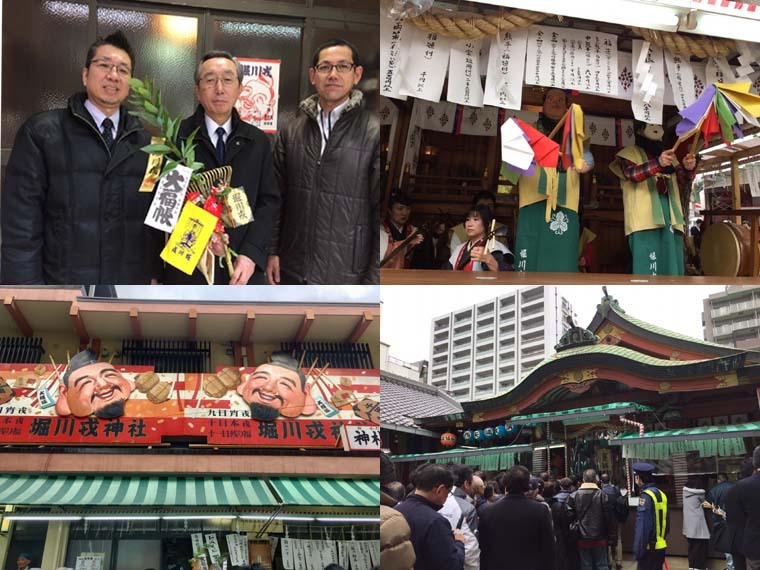 This is one of the Japanese culture, people come to pray in shrine for happiness and business success. Ebisu, familiarly called “Ebessan” in the Kansai dialect, is the patron deity of business as well as of fisheries. A good luck bamboo branch decorated with lots of lucky items such as old, oval gold coins, sea bream and rice bales is a highly popular charm for business prosperity. We visited on 10th January, wishing prosperity for both us and our valuable distributors.